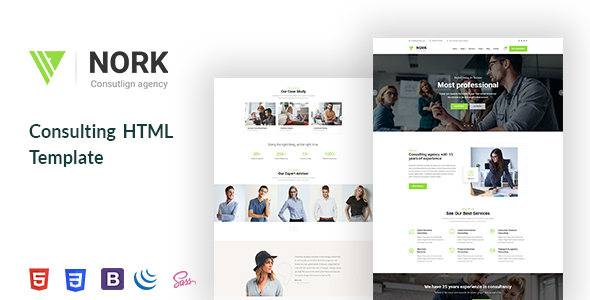 Nork is built for Business, corporate and consulting agency business. It is an HTML Template. It has built with all the business, corporate, consulting features that need a company. It is possible to change all the section as you like. There is customized option and every section is unique creative for business, corporate and consulting agency business. The Modern and elegant design also provide cool features such as team, about, projects, services as well as letting you show blog or hot news. That is the reason this divine HTML Template is able to be used for most popular CMS.